It’s not every day you’re invited to stand on the Segerstrom Hall stage and watch a Broadway musical being installed, but it’s not every day that the phenomenon known as “Wicked” comes to town. The story about what happened before Dorothy dropped into the Land of Oz, “Wicked” opened at Segerstrom Center this week and runs through March 6. 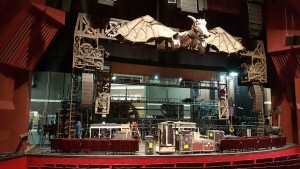 The show has been on tour for several years (this is the fourth time “Wicked” has landed to Costa Mesa), and takes a village of stage hands, carpenters and electricians to install the show at each theater on the tour. 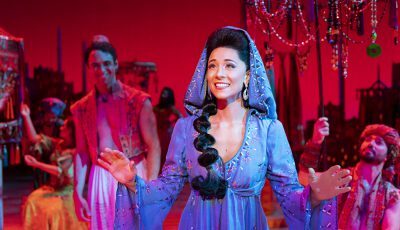 people behind the scenes to learn more about what it takes to put on this Tony Award-winning show. 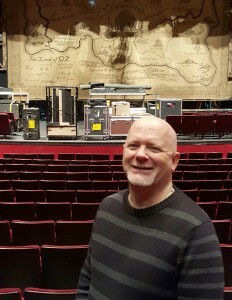 Production Stage Manager David O’Brien has been touring with “Wicked” for four years, and is responsible for the artistic side of the musical. 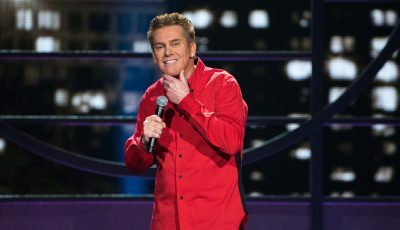 “I am in charge of maintaining the show, making sure the actors are doing their job, giving notes, making sure the show looks the way it’s supposed to look, make sure that what the creative team and the producers have put together remains the same throughout our 52 weeks a year of traveling,” explained O’Brien. And because actors may leave the show and new actors join the tour, O’Brien makes sure the new faces learn their paces. Once “Wicked” gets to town, O’Brien spends the first three days of performances back stage while his assistants train local stage hands on the intricacies of the show. Then, he sits in the audience and takes notes. 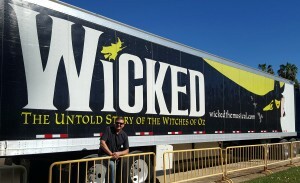 “Wicked” is a large show—it takes 13 huge 18-wheel trucks to haul the sets, costumes, props and other gear from one city to another. And because each city’s theater is different, each venue presents its own challenges. 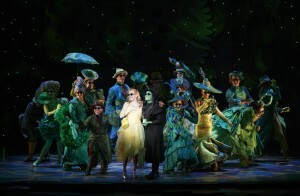 For tickets to “Wicked,” visit SCFTA.org.